Saffron, one of the most highly prized spices in the world, is used to add color and aroma to a delicious Turkish pudding-like dessert called 'safranlı zerde' (sah-FRAHN'-luh zeyr-DAY'). Many recipes for "zerde," like this one, also contain edible rose water to add yet another delicate flavor and aroma to the dish. 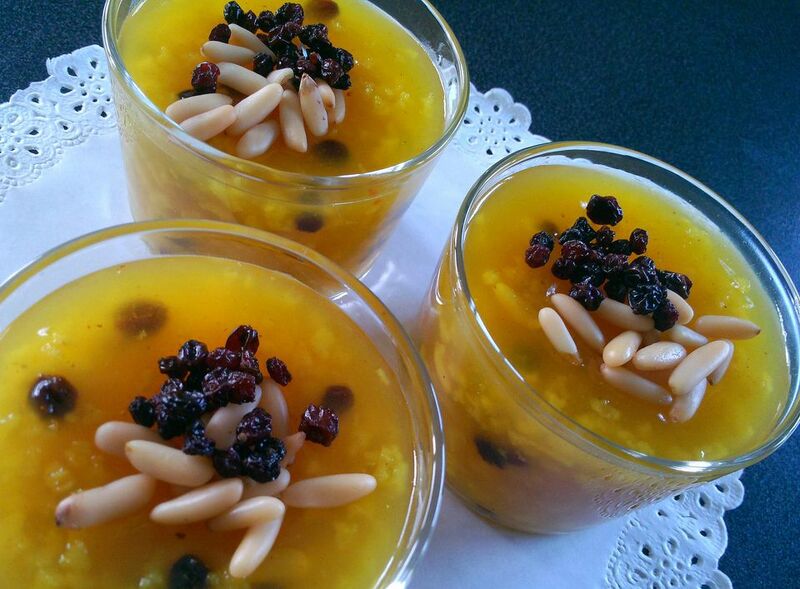 'Safranlı zerde' is a dessert that orginates from the areas surrounding the city of Konya, located in inner Anatolia and is a good example of regional Turkish cuisine. It's said to have been a favorite of the Ottomans and was prepared regularly in the Topkapı palace kitchens in Istanbul. Today, 'zerde' can be found in many Turkish restaurants and dessert shops all over the country. It's also a favorite dessert served during the holy month of Ramadan. 'Zerde' is simple to prepare. Like many Turkish puddings, it's very nutritious and low in fat. Serve your 'zerde' cold in decorative dessert bowls garnished with more currants and pine nuts. You can also use other toppings like coconut or ground nuts. Begin by washing the rice in a wire strainer under cold, running water for several minutes until the water runs clear. Once it's washed and drained, put the rice in a large saucepan. Add water to the pan to cover the rice about ½ inch. Bring the water to a boil, cover the pan, turn the heat to low and cook the rice for about 20 minutes. Put the 4 ½ cups water in a separate saucepan. Add the saffron and let it soak for about 15 minutes. After it softens, use the edge of a wooden spoon to crush the saffron and release the yellow color. Add the cooked rice, sugar and turmeric to the saffron and water and bring it to a boil. Add the rose water and cornstarch and cook, stirring continuously for about 20 minutes until the pudding thickens and becomes a clear yellow color. Turn off the heat and leave the pudding to cool in the pan about 10 minutes. Fill your dessert cups or a large serving bowl with the pudding. Let it cool to room temperature. Refrigerate for several hours. Serve your 'zerde' cold. Garnish it with more pine nuts, and dried currants that have been soaked for a few minutes in hot water. You can also use other toppings like ground coconut, crushed pistachio nuts, and fresh pomegranate seeds.